It is hard for economy, as a science, to be objective, because it tends to justify the privileges of the ruling class/people, either consciously (in order to preserve the system) or unconsciously (economists are born, formed and educated within that system, and usually share its values). Man is at the same time a solitary and a social being - he tries to satisfy personal desires, protect the existence and well being of himself and those closest to him, but on the other hand he is concerned with his place in society, seeks to gain recognition and affection of a wider circle or people around him. The ratio of these two opposed drives, Einstein says, is mostly innate, but the personality is mostly formed within and influenced by society. Society to a great degree influences the types and qualities of interactions between the individuals. Man’s nature can not be changed, but the circumstances within which he is formed can be improved. Thus, Einstein concludes, “there is only one way to eliminate these great evils, namely through the establishment of a socialist economy, accompanied by an educational system which would be oriented toward social goals”. The means of production would be owned by society itself and utilized in a planned fashion, according to the needs of the community, and the work would be distributed among all those able to work guaranteeing the livelihood of every man, woman and child. 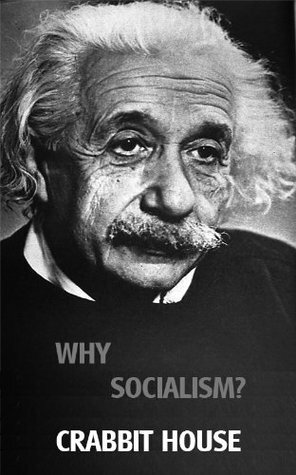 In the end Einstein warns that planned economy is not yet socialism, and that it may be closely tied with totalitarianism and complete enslavement of the individual.